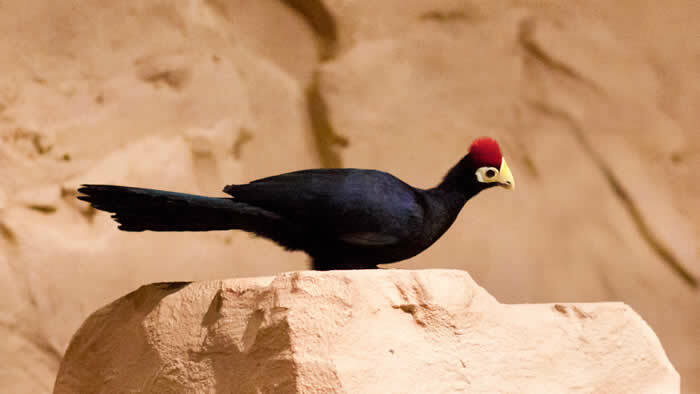 While this bird is capable of flight, it spends most of its time running and hopping from branch to branch. Fruits, berries, flowers and small invertebrates like termites and snails. Throughout most of sub-Saharan Africa except the southern-most part of the continent. These birds will defend their treetop territories, even if it means confronting predatory birds. Families and pairs form flocks containing as many as 30 individuals. 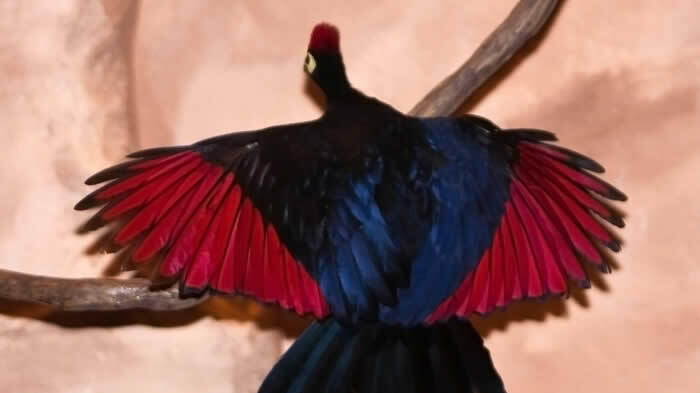 Lady Ross’s Turacos are listed in the category of least concern for extinction. They have a very large range and a stable population. Thickets and the upper levels of evergreen forests. 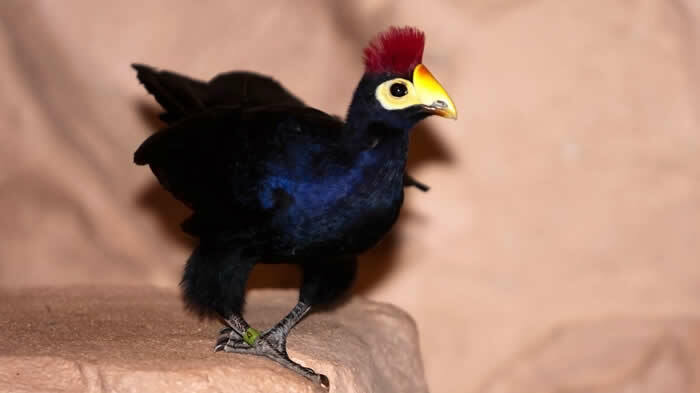 Turacos have copper pigment in their feathers, a feature unique to this family of birds.